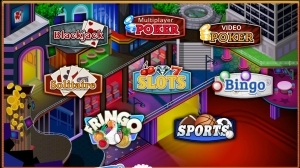 Vegas World is a gaming company that specializes in creating social network multiplayer games. 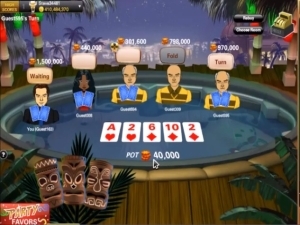 Their games have garnered thousands of players and one of their popular games is Texas Hold'em Poker for any HTML 5 enabled brower like IE or Chrome, The games play nice on desktop and mobile. 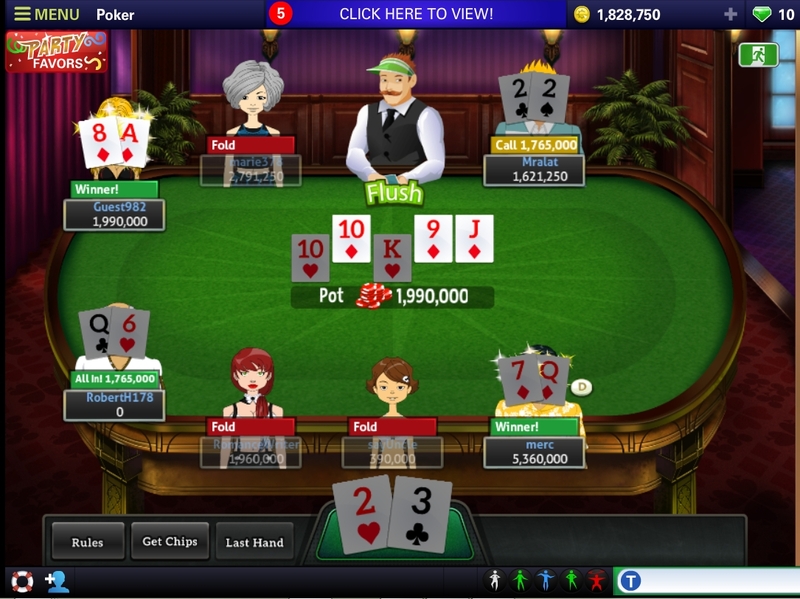 Despite being a relatively new participant to online gaming, Vegas World Texas Hold'em Poker is actually catching up to more players biggest online poker sites like Zynga online poker and other established online poker sites. 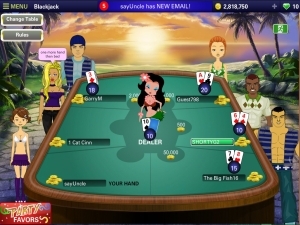 Vegas Texas Hold'em Poker is available for both PC and mobile platforms. They do not offer real money games but they have in game prize features that make the competition exciting and fun. 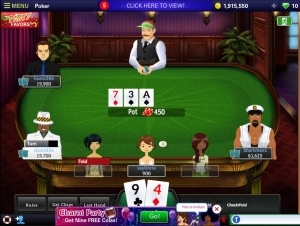 For players looking for casual online gaming Texas Hold'em with real people in a lively social chat enabled app Vegas World Texas Holdem provides a nice free fun app for all to enjoy. NO download required play instantly right from Chrome or IE. Here is another screenshot. vegas has plenty of players and active tables at various stakes. No cash games but they have tokens that offer some value to gamble with while avoiding gov thugs confiscating and freezing accounts. A real nuisance they are.. . Here is a quick sample vegas poker game on YouTube. Excellent graphics. Build up your bankroll and move up to higher stakes just like a real poker tournament. Go all in when you got the nuts or when u bluffing. You scoop the pot either way. Fun fun fun!! Another video of VegasWorld general lobby and social style games and atmosphere.